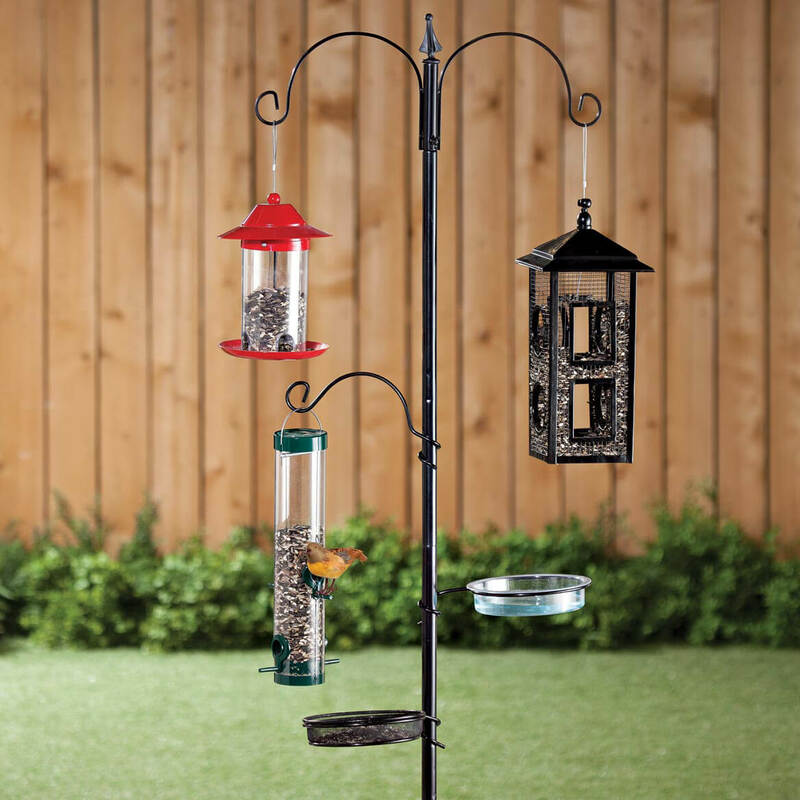 The bird feeding station is simple to put together, but the 3 loose arms just slide onto the pole and don't actually connect in any way. The curved arm won't stay put, and I just decided not to use it. The plastic seed tray was broken upon arrival, so I have had to replace it with a clay flowerpot saucer. The unit does the trick, and the birds are enjoying it. I think I will have to put it away in the wintertime, though. I don't think the finish will hold up to lots of rain and snow. The water bowl came broken so they promised to replace. Then got a letter they are sold out. So I would expect a refund. Didn't get it. Cheap junk. I love watching the birds, and this looks classy. I really wanted this and am looking forward to using it this spring. I enjoy see the birds. It's a more attractive way for my dad to display his bird feeders than his hand made contraptions. I had one similar to this and it made the birds very happy. 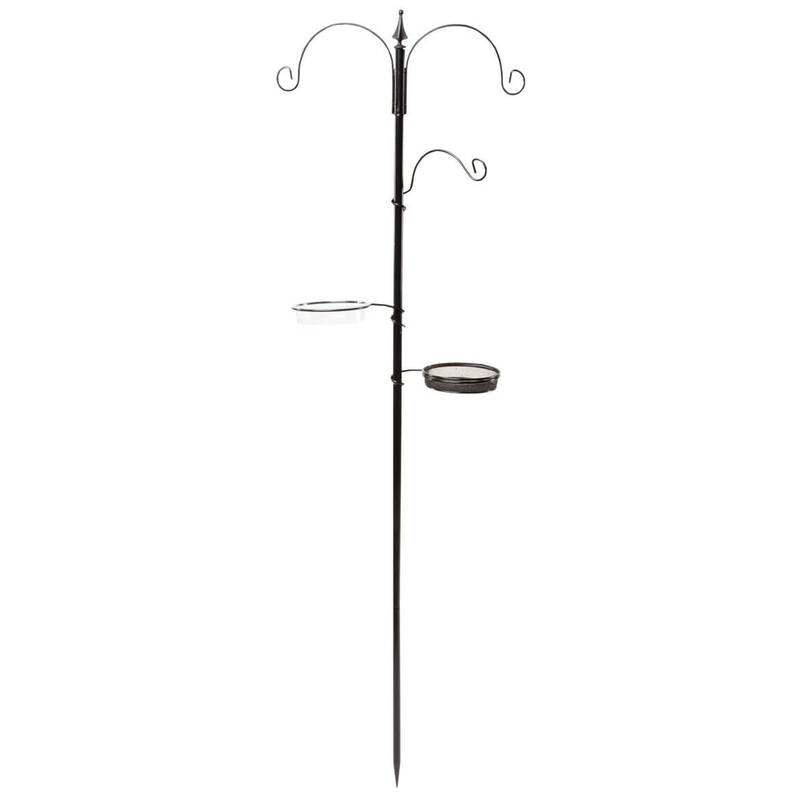 I have lot of bird feeders, this way they will be in one place. Am setting up an area in my yard for a bird sanctuary. What I needed at better pricing than big box store. I can put more feeders on this. Something I haven't seen before. I have been looking for one of these.I want it for winter to feed the birds. Needed more feeding locations for the birds and did not want to put a lot of hooks in the yard. Looking for a single stake feeder unit..have been unable to find elsewhere. I have been wanting one of these & couldn't resist the sale price. need a new post for my hummingbird feeders -- this one looks perfect.